If you are not a member, ask a member to sponsor you. Call a member on this page. For existing Executive Members sponsoring someone increases opportunities and keeps the price down! add three months on your membership for each additional salesperson sponsored. Get a year free for referring 4 salespeople. Set up a seminar for your office. It is all about helping members make connections to do business. 24,000 unique viewers monthly statistics on ICIWorld (Feb. 2016) Unique sites. People from 138 countries. See top 30 countries. com is USA and others. It is our goal at ICIWorld to support each and every member in their own market areas to have their website come up in the search engines. This provides real estate professionals the opportunities to handle more trades in real estate so that people get looked after properly in the largest sales in their lives. Doctors look after people. Lawyers help. In the case of real estate salespeople they have helped the public create wealth millions of dollars through real estate. 30,000+ contacts to do business. Add them to your phone. and IF and When your listing is placed and they see it, presto . . . you receive the call and do business. It can be that fast. See the 50 pages of testimonials. All to help everyone network to do business. Every real estate broker and salesperson in the world can and should have these real estate widgets of listings operating on their real estate website. It is absolutely inevitable for you to trigger leads from your website for you to have the opportunity to do referrals and/or direct business. They collect information, real estate opportunities, globally and display them on your website in a way that YOU get the leads. And it is providing more choice available to the public that is not available elsewhere! Essentially you are providing global real estate networking . . . from YOUR website. 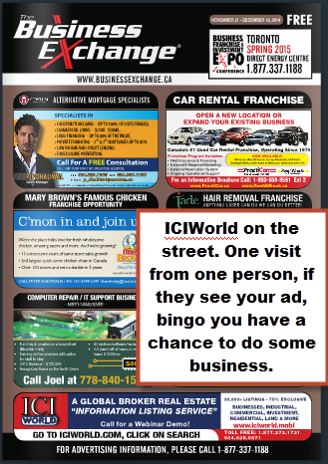 All the following display up to six ICIWorld Widgets of listings. They are absolutely inevitable to trigger interest in real estate from the visitors to your website. They must call you for more information. ICIWorld totally designs websites that are customizable in a one on one Webinar Workshop with you over the Internet (60 minutes). They come with the ICIWorld Widgets already installed. We recommend that you keep all your websites because websites can be like billboards. They can all generate leads for you. The one we supply is $16.50/mo. and has three major world networks of listings the way we design it. We will explain in a GoToMeeting session with you over the Internet with you. Simply make an appointment for a demonstration and within a few minutes, we can show you our various services that we know can help every single real estate broker and salesperson in the world absolutely no obligation. Our Pledge. 199/year divide by 12 is $16.50. As a broker, I say it is a no-brainer. One lead makes one $10,000 to $100,000 and more. The listings that will be displayed on your website, the information in the Widgets, the listings, Haves and Wants are from other licensed real estate brokers and salespeople who have agreed to allow their listings to be on your website. What is better, to have your listings on one website or on 1,000 other brokers websites instantly? If another broker brings you an offer, would you work with them? 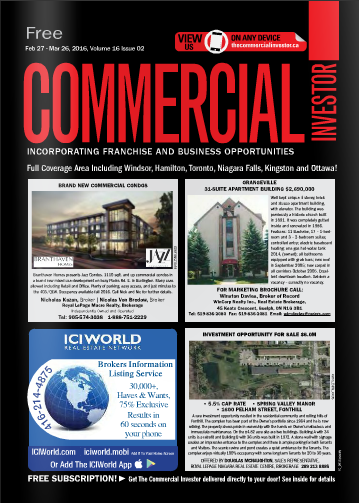 These widgets include exclusive type real estate Have and Want information that are not on real estate boards as well as MLS listings that are advertised by the broker and salesperson member of ICIWorld. When you get a call from a prospect or client on one, call the other broker to do a referral or make an appointment to show it yourself. This provides a great service to the public. 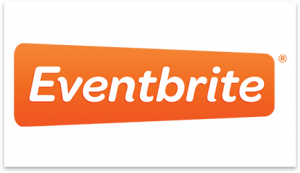 This gives you an opportunity to do direct business and set a showing AND/OR do referrals! 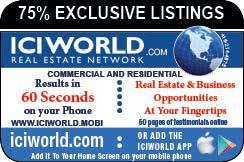 Keep in mind this is also tremendous marketing for each and every one of your listings because when you place a listing on ICIWorld you can agree or not agree to allow it to be on other brokers web sites! Doing this in the ICIWorld way brings more opportunities to the marketplace otherwise not possible. You are providing a great service to the public because 75% of these listings, haves and wants are not on real estate boards. 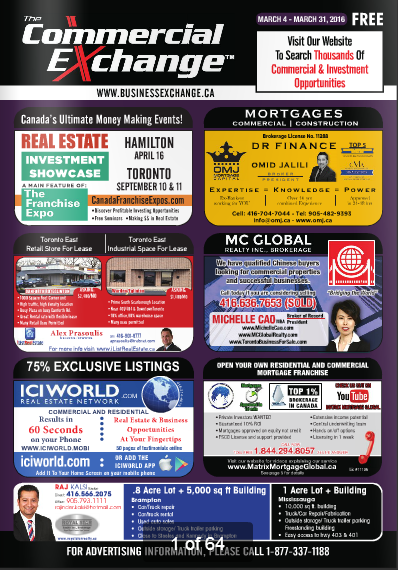 Standard Revenue Producing Widget Links: Ontario Commercial, My Haves and Wants, Residential Exclusives, World Commercial, Business Opportunities, FSBO’s, more. Widget Links for Latest Listings in your area: USA, Florida, all states, any country of the world, Greece. Make one 30 appointment with us and we will demonstrate these links. You decide or just take our recommendation on the widgets and we email the instructions to your web site designer. Tremendous exposure for the brokers placing information. The more you promote your website and generate leads the more $$$ you make. Upon joining we send one instruction to your website designer and presto you can have it working. The very next person who visits your website and sees an interesting listing . . . has to call you. Your responsibility is to direct people, your prospects, your clients, to see these listings on your website. Let them know you have residential exclusive listings, properties coming for sale, exclusive properties not on real estate boards, investment properties, businesses, etc. They trigger leads. The leads come from the interest of visitors to your website. It is like having classified ads on YOUR website in a way that YOU get the calls! See Samples. We have hundreds of members with all different kinds of websites that use ICIWorld widgets to generate leads. People are looking for listings on the Internet. If you have listings then you have a chance to trigger inquiries because the listings supplied by ICIWorld come with a message number only and people will call you with that message number and ask for more information. Join ICIWorld and then Order them today! The very next person who visits your website and sees a listing . . . has to call you.